Dwarf Paladin | Azazel's Bitz Box. Following on from those dreadful greenskins, we have a pair of heroic dwarves. 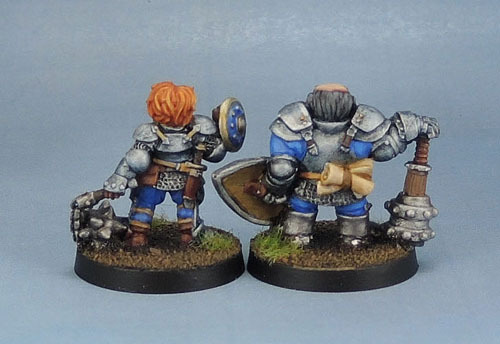 This time, another duo from the Stonehaven Miniatures Dwarf Kickstarter. These are the Dwarf Fighter (Female) and Dwarf Paladin (Male) – though let’s face it – either of the pair could fill either role. 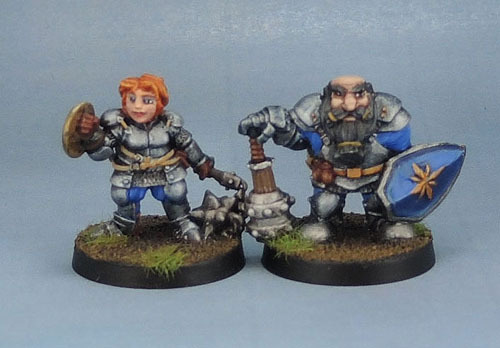 As I’ve noted before, these aren’t the very best dwarf sculpts on the market, though they do fill in a nice alternative source of non-standard and RPG-ish dwarves with a solid old-school charm to them, along with enough character to endear them.